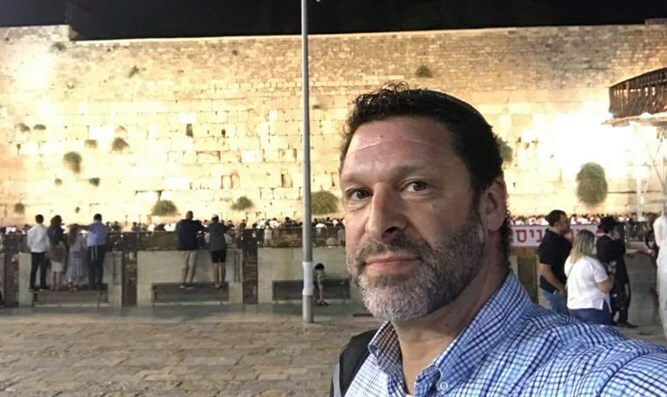 Finance Minister Kahlon promises to deduct payments to Ari Fuld's murderer from money transferred to Palestinian Authority. Finance Minister Moshe Kahlon (Kulanu) said he has ordered that the Palestinian Authority's (PA) payment to the family of Ari Fuld's murderer be deducted from the funds transferred to the PA.
"I will examine additional ways to limit the financial activities of the terrorist's family," Kahlon promised. "Ari was a man of values, who loved Israel and people, and he was a dedicated father of four. May G-d avenge his blood." On Thursday, it was reported that over the course of the next few years, the PA will pay 10 million NIS to Fuld's murderer. The 17-year-old terrorist, Khalil Jabareen, is from the Hevron-area Arab town of Kafr Yatta. On Sunday, he stabbed Fuld, 45, in the back outside a shopping center in Gush Etzion, south of Jerusalem. Fuld succeeded in drawing his firearm and shot Jabareen, neutralizing but not eliminating him.